These crystal drawer knobs offer a high end and exclusive finishing touch to your drawers and wardrobes. The angled surface captures and reflects light beautifully around the room. Our crystal knobs for drawers are suitable for use around your home to provide consistency throughout your interior décor. The transparent nature of the cut glass will ensure that colours within your home are echoed within the knob. 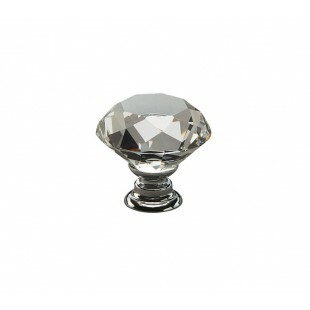 The crystal drawer knobs are supplied individually with a bolt for fixing. The base of the knob has a 16mm diameter. 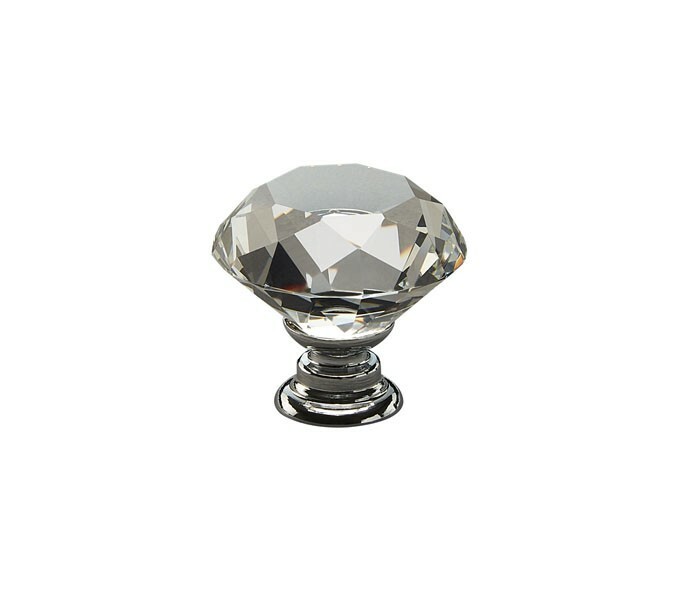 Overall, these crystal knobs have a projection of 28mm and is 30mm in diameter.